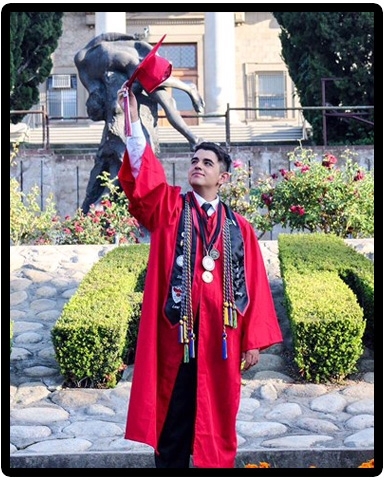 Recent graduate of San Bernardino High School, Hazael Perez, was Editor in Chief of the Tyro Yearbook and Tyro Times Newspaper, ASB Cardinal City Historian, Mr. Cardinal Congeniality, a part of principal advisory, SB superintendent advisory and the SB county advisory. Hazael will be working at the SBHS Archives/Museum and hopes to apply to the SB Historical Preservation for the city. He plans to attend San Bernardino Valley College during the fall with hopes to transfer to University of Redlands or UCLA to study International Relations.